We are always looking for healthier snack options. 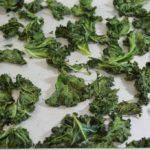 This time of year you can find all kinds of varieties of kale at farmers markets that are perfect for making these Garlicky Kale Chips. I used the every popular green curly kale for this batch. But other types like Tuscan kale are equally tasty. I love that you are not only cutting calories by using kale to make chips. This superfood adds a ton of healthy properties like vitamins, antioxidants, and fiber to your snack regime too. I used a simple mix of kosher salt, fresh ground black pepper, and garlic powder to make this batch. You can use different spices though, like my Homemade Taco Seasoning Mix, for variety though. Lemon pepper is another personal favorite. Mediterranean or a barbecue spice mix would be delicious too. You could even experiment with different types of flavored oils. My favorite Jalapeno Olive Oil would add a great kick! I hope you like these Garlicky Kale Chips as much as my crew does. If you love this healthy snack recipe, you can find more like it by checking out my Snack section! For recipe inspiration delivered to your inbox, subscribe to my newsletter, follow my photography journey on Instagram, and for generally inappropriate humor follow like me on Facebook! 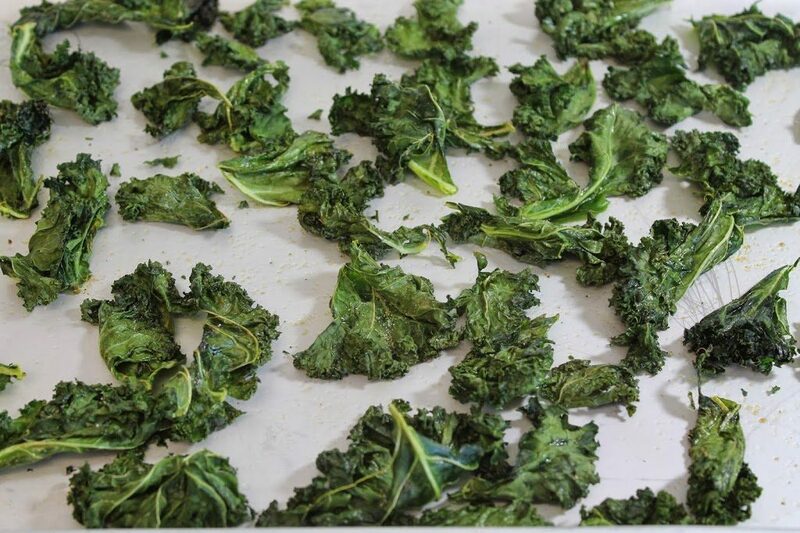 Simple, healthy kale chips seasoned with garlic powder, salt, and pepper. Pre-heat oven to 275°F degrees. Line a large baking sheet with foil or parchment paper, set aside. Remove ribs from kale. Tear or cut leaves into large bite-sized pieces. Place pieces on baking sheet. Mix salt, pepper and garlic powder in a small bowl. 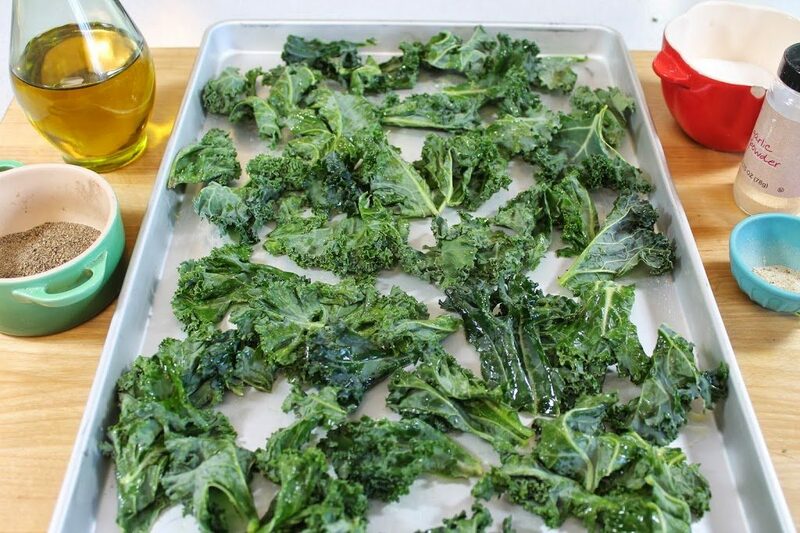 Drizzle kale with extra virgin olive oil and sprinkle with spice mixture. Toss with hands to thoroughly coated. Bake for 10 minutes. Flip kale and bake for an additional 8-10 minutes. Tip - Try different kinds of flavored oils like jalapeno or roasted garlic for variety. I have been getting a ton in my CSA & this was a great way to use it up!